Military Surface Station. 8 channel, 10 watts. Includes Int&apos;l charger, hand held mic., and transducer. 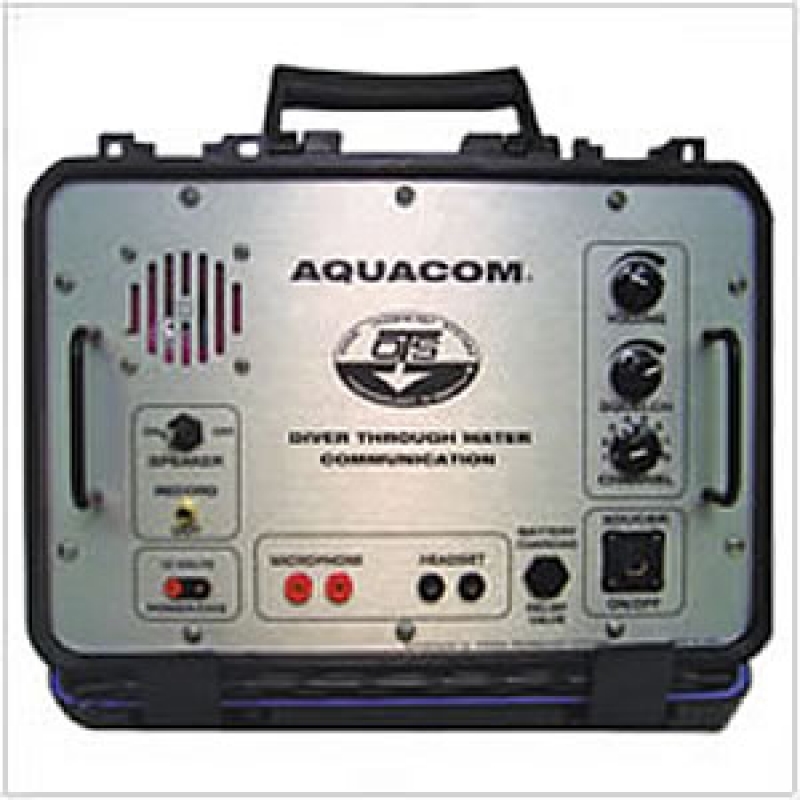 The Aquacom® STX-101M transceiver is a state-of-the art 10-watt, 8-channel single sideband surface station designed to meet the demanding profile of the military diver. It operates with virtually all OTS Aquacom® and Buddy Phone®transceivers. The STX-101M comes in a heavy duty housing and has many useful features including: record-out jack, front panel adjustable squelch, and deluxe hand-held microphone. The operator can choose from 8 different channels via a front panel switch. When operating in conjunction with divers equipped with the SSB-1001B, the dive supervisor will have total communication control with all free-swimming scuba divers.